We give you great rates. Because we cut out the middleman we can bring you excellent prices. Get a quote in seconds and buy cover in minutes. 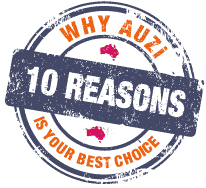 Save time knowing AUZi brings you top deals. It's second nature to us as a business. You can instantly download your certificates. Save time and help the environment by reducing paper wastage. 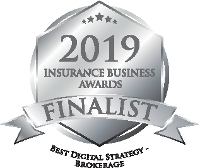 We have 30 years’ experience in the Insurance industry. That means we understand your needs. Instead of call centres, our experienced staff offer you a tailored service. Skip the hassle of re-applying. You can choose your cover limit and payment method. Only pay for what you need via a payment method that suits you. A well-known name in the Insurance industry. Smile, we’ve got you covered. View our Jargon Buster to find out more.